She received her Kandidat degree in foreign languages from Moscow State University in 1979, where she chaired Department of West European Languages in the College of Afro-Asian Studies. Her teaching experience has taken her from Moscow to Ghana to the U.S., where she taught Russian for Diplomatic Language Services, Inc., before coming to GW in 1997. Her publications in Russia center around English-Russian lexicography and semantics. 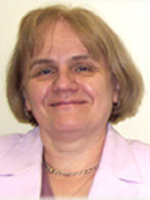 Professor Shatalina is a co-author of Golosa: A Beginning Course in Russian (2003-2012). Prof. Shatalina was the recipient of the Bender Teaching Award in 2001.